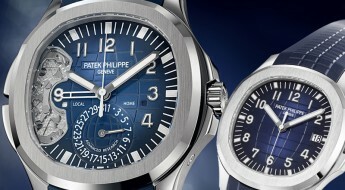 Baselworld 2018 will be held this week and Patek Philippe has embraced this occasion for some major and overdo additions to their brand. 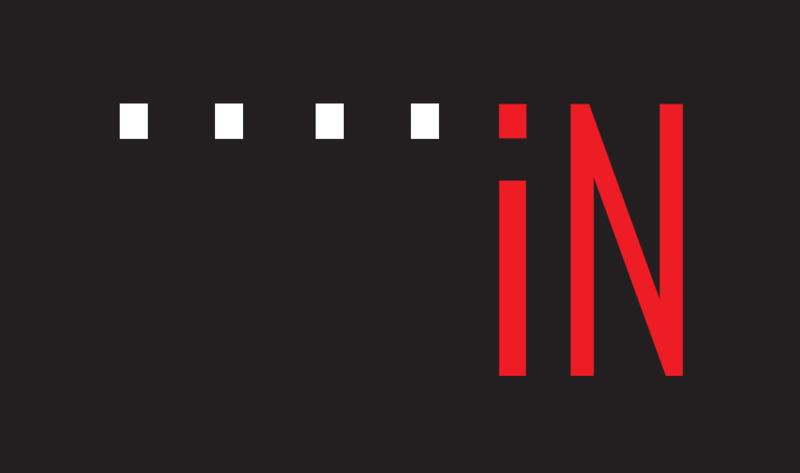 One comes in the form of a “Calatrava Pilot Travel” for ladies and the other was launching their official Instagram account. 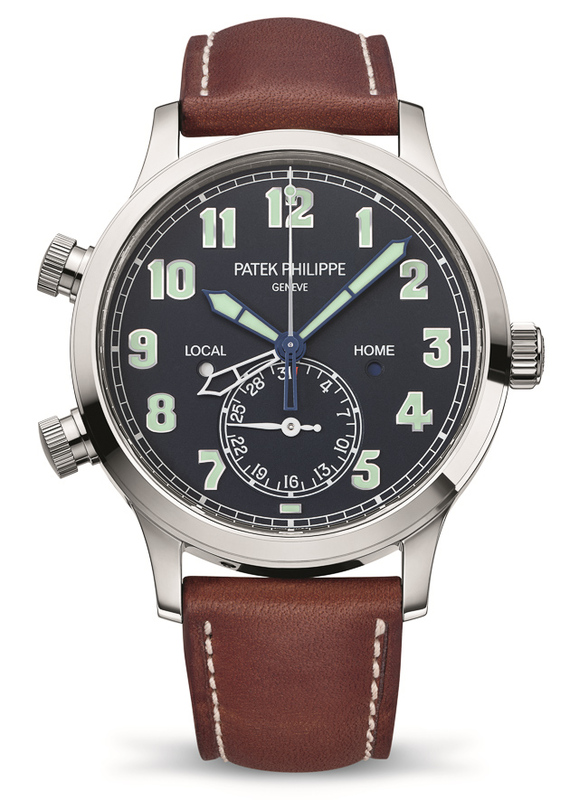 Originally this model was introduced by Patek Philippe in 2015 as the “Calatrava Pilot Travel Time” (Ref#: 5524) in an 18k white gold model with a blue dial, which you can read more about here. 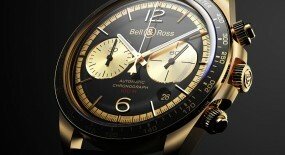 But, what really made this model stand out was the overall pilot-style of a brand most known for its classic dress watches or futuristic “Nautilus” type models. 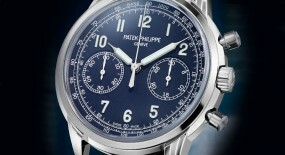 Even though this wasn’t the first pilot themed piece by the Patek Philippe brand. 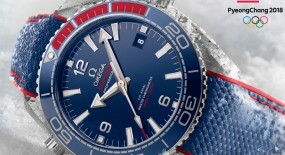 It had been awhile since they had used such models as a launch piece, for a showcase event like Baselworld. 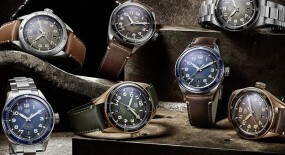 Their brand actually built its reputation very much so on pilot watches in its formative years. 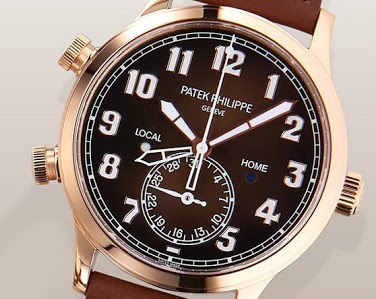 A noteworthy example of that is this Patek Philippe issued in 1936, which can be seen in exposition at the Patek Philippe Museum in Geneva. 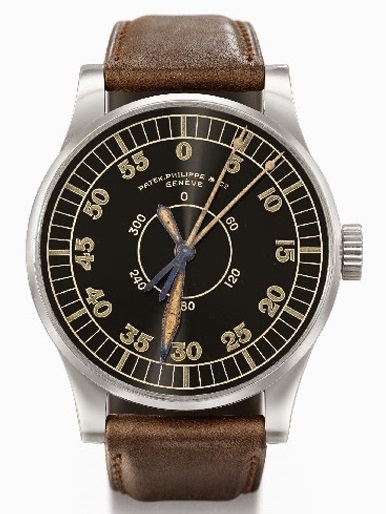 This Patek Philippe issued in 1936 can be seen at the Patek Philippe Museum in Geneva. 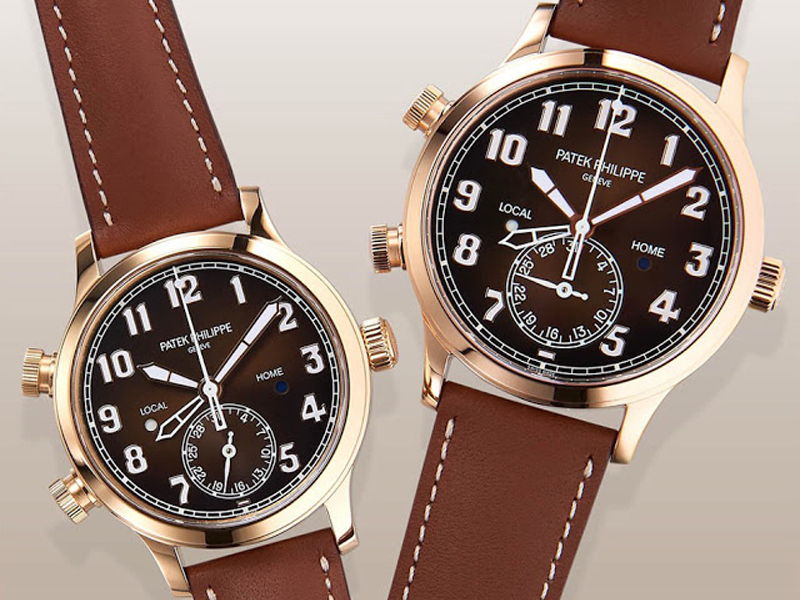 So, the two new pieces we can expect from Patek Philippe will be a new “Calatrava Pilot Travel” now available in 18k rose gold for men and the first ever ladies version of this model, is a smaller diameter size. 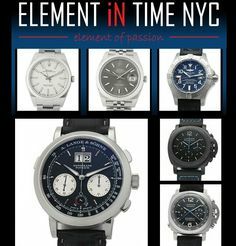 Plus to inform their fans and the horology community of these new editions they have done so via their official brand Instagram account you can take a look at here. 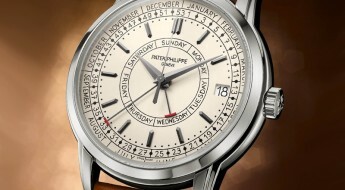 The other novelty being announced here is the first automatic “Calatrava Travel Time” model designed for ladies by Patek Philippe. 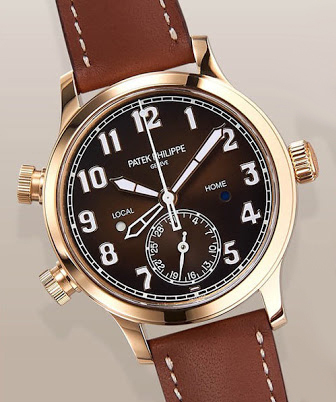 The “Patek Philippe Calatrava Pilot Travel Time” (Ref#: 5524R) for men will be available in a 42mm case made of 18k rose gold with a transparent case back, which allows to view the inner workings of the mechanical movement. 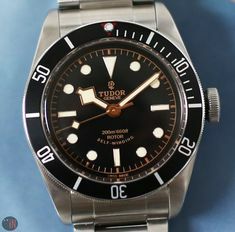 It comes equipped with a setting-crown and two time-zone pushers at the 8 and 10 o’clock positions that are fluted for a slip-free grip. 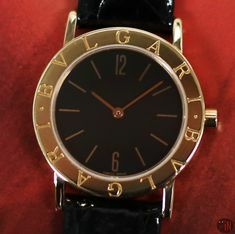 The ladies model is exactly the same in a 37.5mm case. 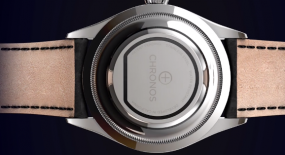 These two pushers were crafted with a patent-pending safety lock, which prevents unintended adjustments of the local-time. 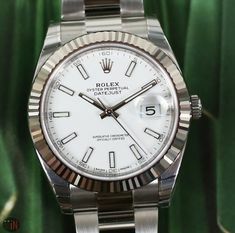 In order to operate them, the pushers have to be unscrewed with a quarter turn and afterwards locked again with a twist in the opposite direction. 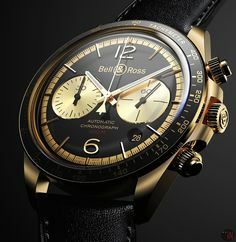 So, when the local-time hour hand is moved forward or backwards by the two pushers on the case, an isolator uncouples the time-zone mechanism from the going train. 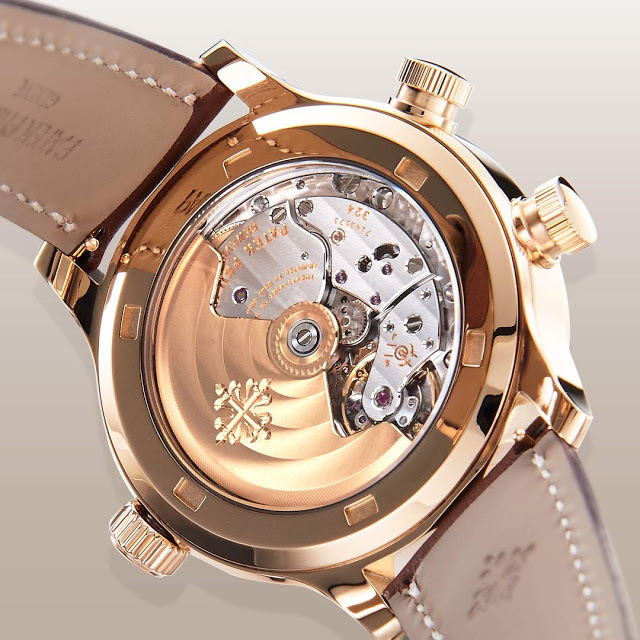 Thus the balance wheel can continue oscillating at a regular rate, while preventing the balances amplitude of a gradual degradation. 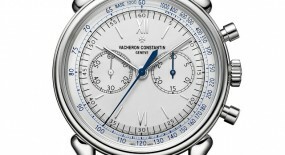 Despite the difference in diameter both models will exhibit time on a black dial with white Arabic numerals, followed by a white railroad motif minute track circling around the dial. 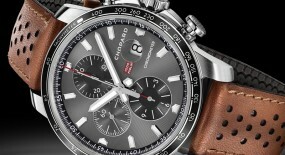 They come equipped with two time-zones and separate day/night dotted indicators for local and home time. 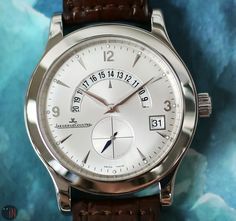 There is an unusual date sub-dial located at the 6 o’clock position, which is represented with Arabic numerals only for each 3-day increment. 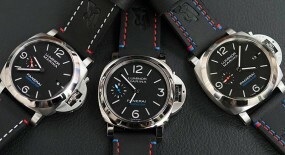 Both watches also feature the broad baton-style central steel hands, a thin white seconds hand and a third skeletonized hand for the second time-zone. 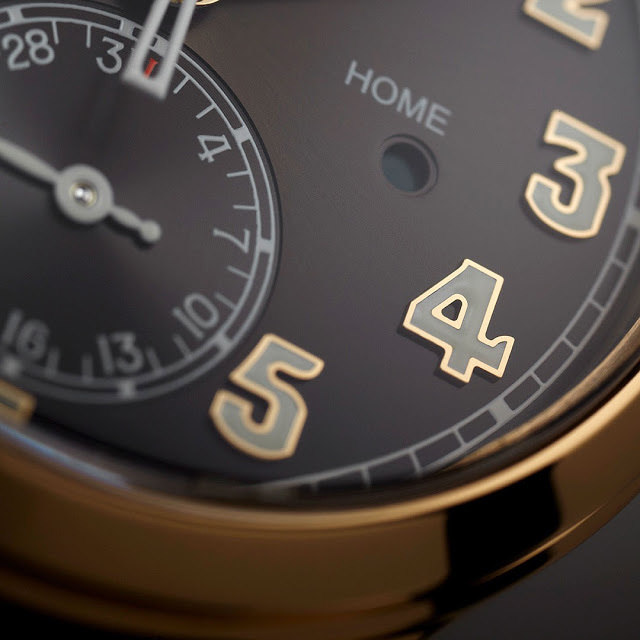 These central hands and all the Arabic numerals have been given a luminescent coating, for an enhanced legibility. 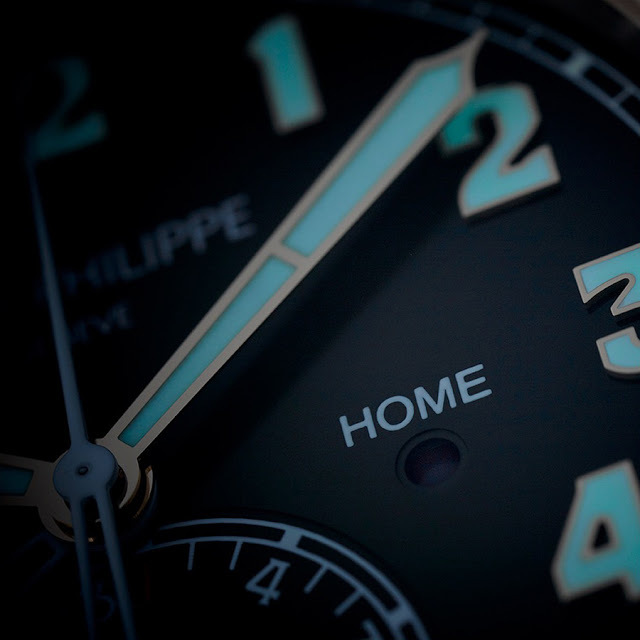 When local and home time are the same, the skeletonized home-time hand is cast to the background and hidden beneath the local-time hand. 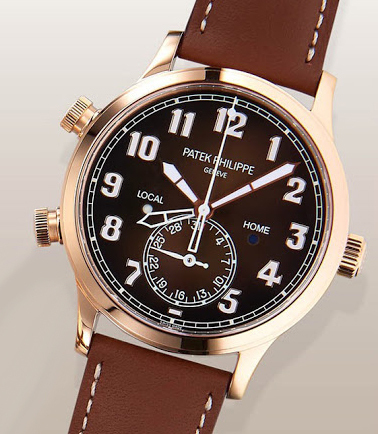 This new “Patek Philippe Calatrava Pilot Travel” both the men’s (Ref#: 5524R) and ladies (Ref#: 7234R) version are equipped with a self-winding mechanical movement, caliber 324 S C FUS with 29 jewels and 28,800 Vph. 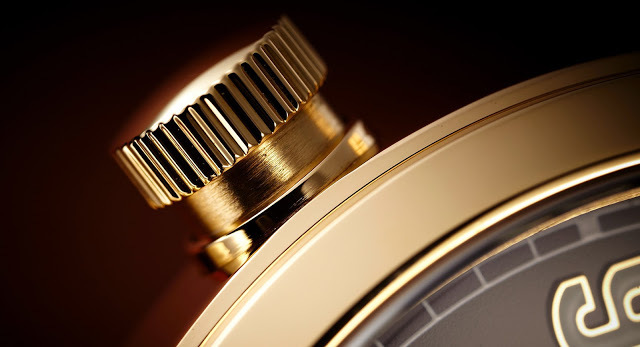 Featuring a 21k gold rotor visible via the exhibition case back. 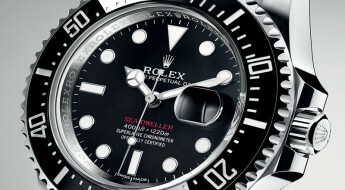 Power reserve on this timepiece can last up to 45 hours, when fully wound. 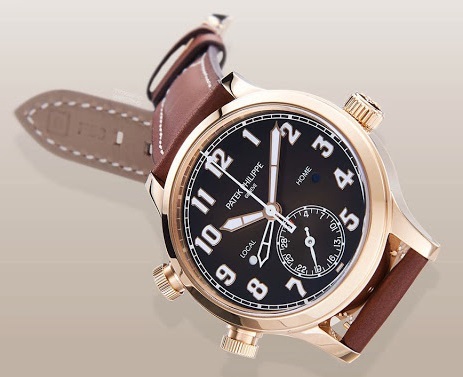 Mounted to the watches is a vintage brown calfskin strap with a look reminiscent of the traditional harnesses that assured the survival kits and parachutes of the pilots were safely deployable. 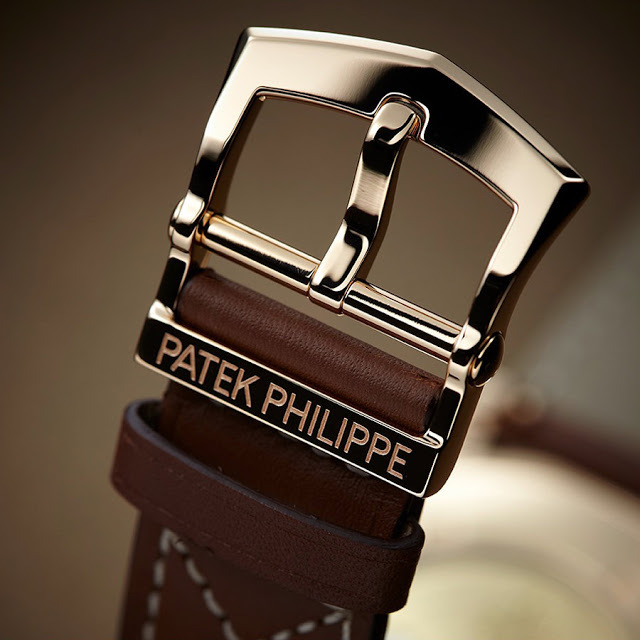 While the strap is secured to the wrist by an 18k rose gold pin buckle with a “Patek Phillipe” inscription on it. 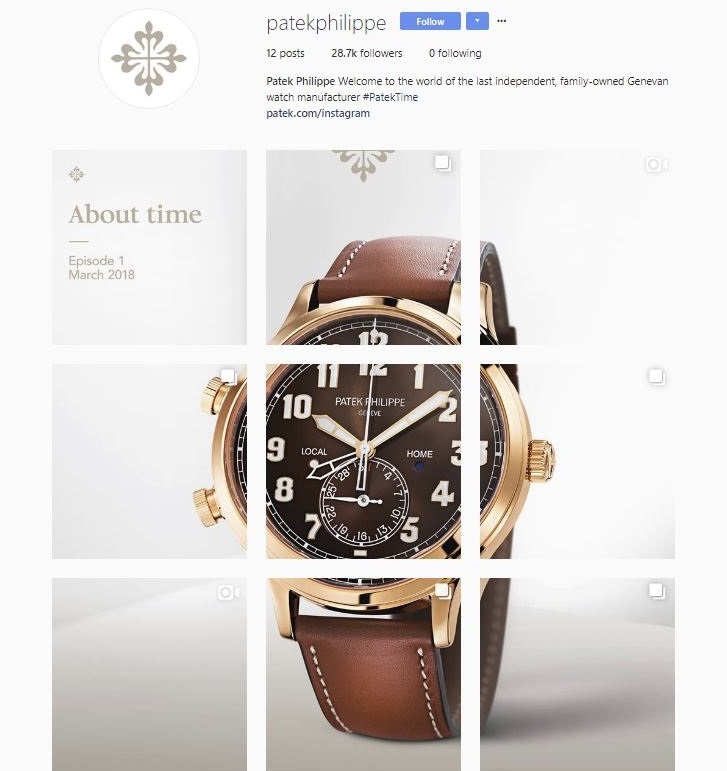 For more up to date information visit the official Patek Philippe website here or their new Instagram account here.